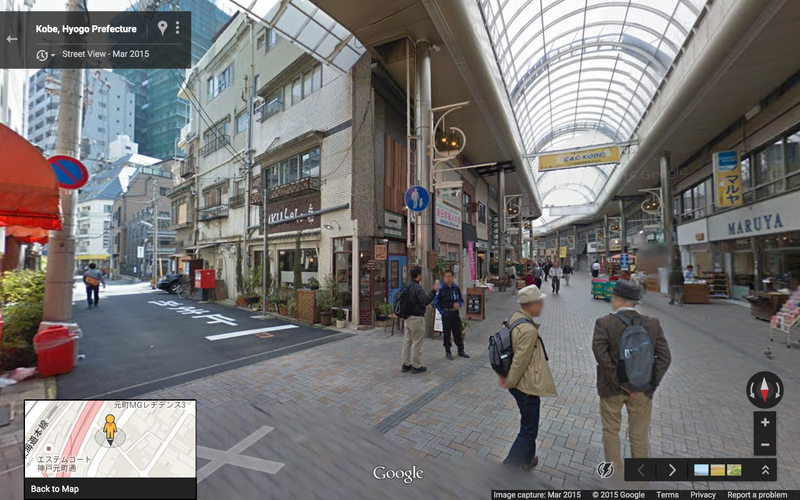 Motomachi and Sannomiya Center Street (三宮センター街) together constitute perhaps the world’s greatest covered shopping arcade. 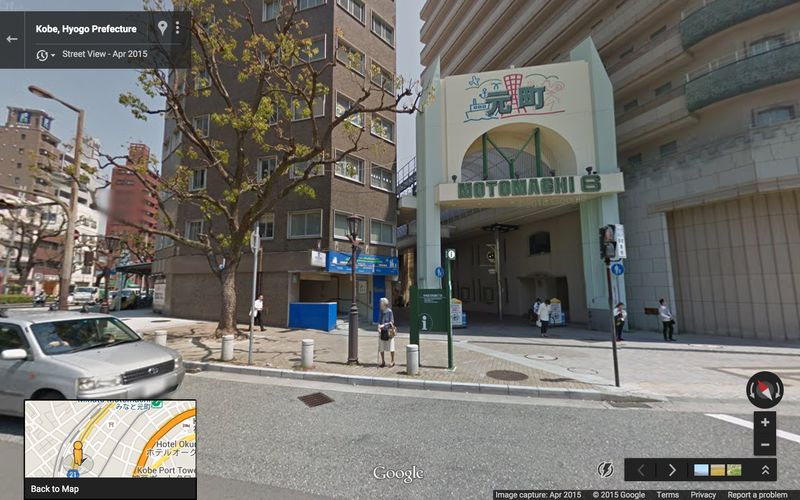 Here I focus on the Motomachi Portion, running west from the Daimaru on Koikawasuji (鯉川筋). 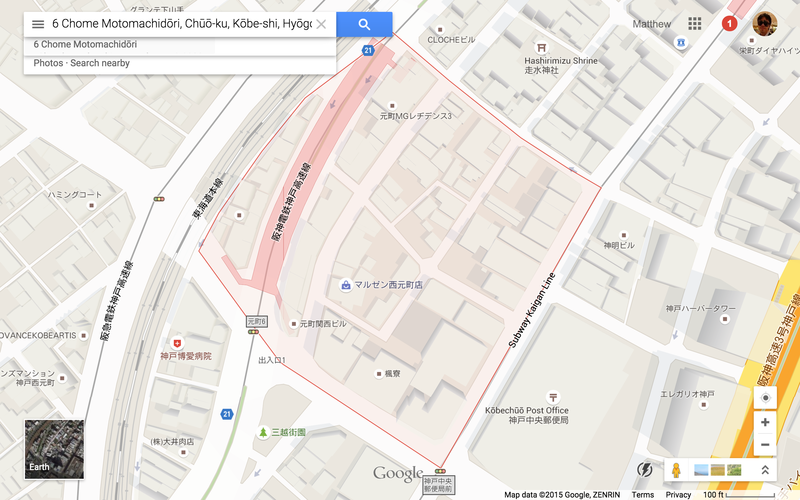 Motomachi Area Map. 500 ft scale. 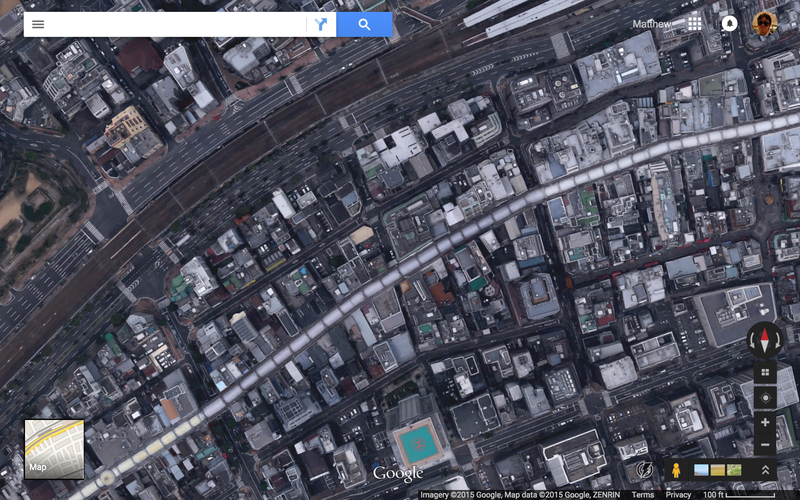 JR Motomachi Station and Minato Motomachi Station are visible. 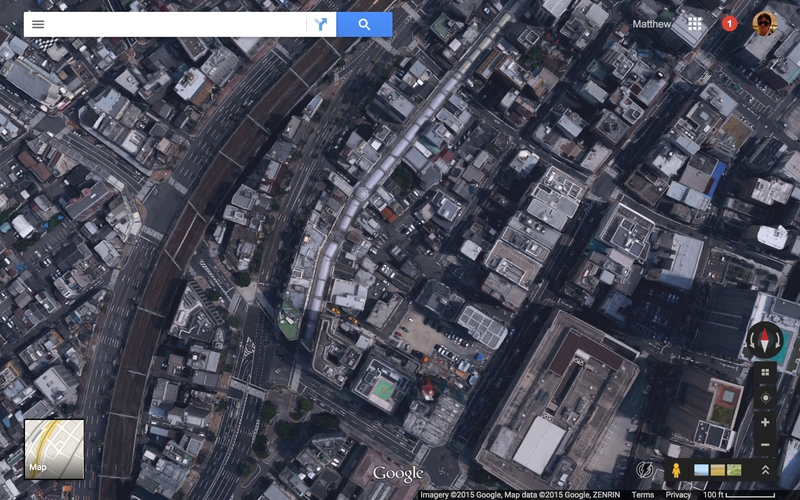 Hanshin Motomachi Station and Hanakuma Station do not show up at this scale. 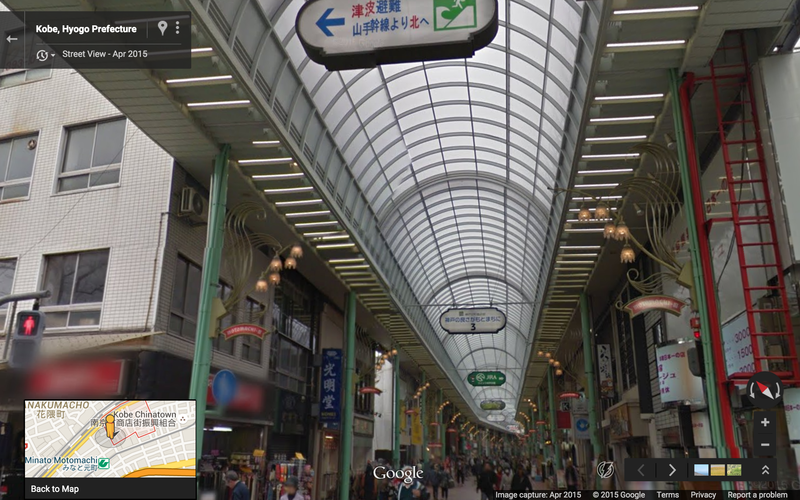 The glass roofed shopping arcade doesn’t show up at any scale. Satellite View. Same area as above map. 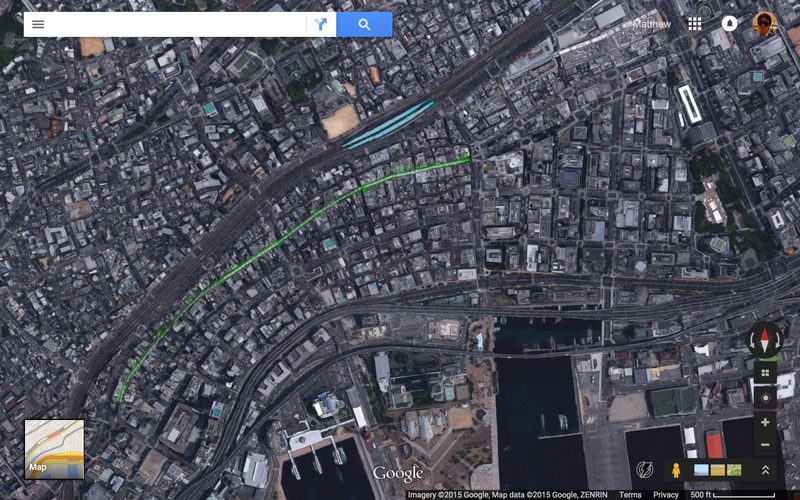 Motomachi Shopping Arcade is highlighted in green, JR Motomachi Station in blue. East entrance to Motomachi. 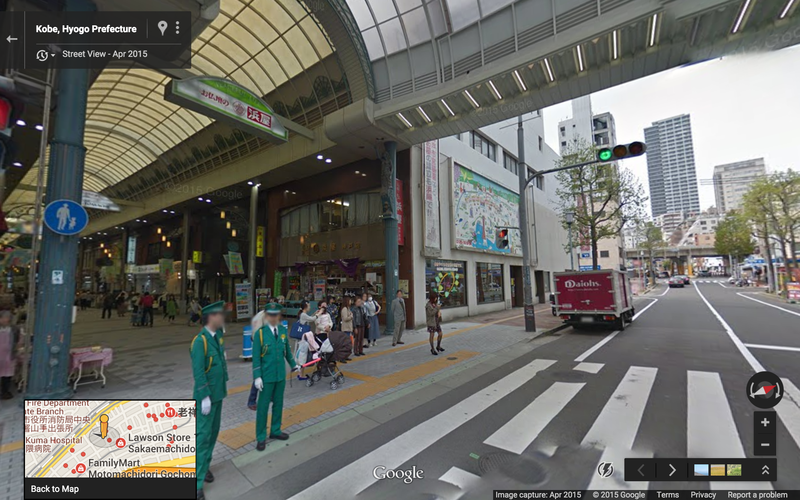 Looking down Koikawasuji street (鯉川筋), with Daimaru on left, and Uniqlo on right (next to Motomachi). Motomachidori 1-Chome (元町通１丁目). 100 ft scale. Short Block Index ~22 (visible here: 35 three-way and 26 four-way intersections). 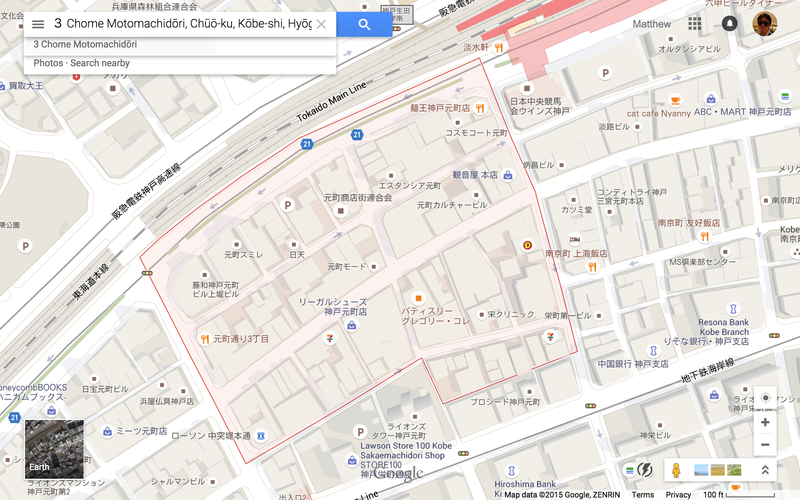 Four hotels and four konbini on this map: 7-11 in lower-left, Family Mart on west side of 1-Chome, Daily Yamazaki on left, and a Lawson about one block NW of the Family Mart (it only shows up at 20 ft scale). 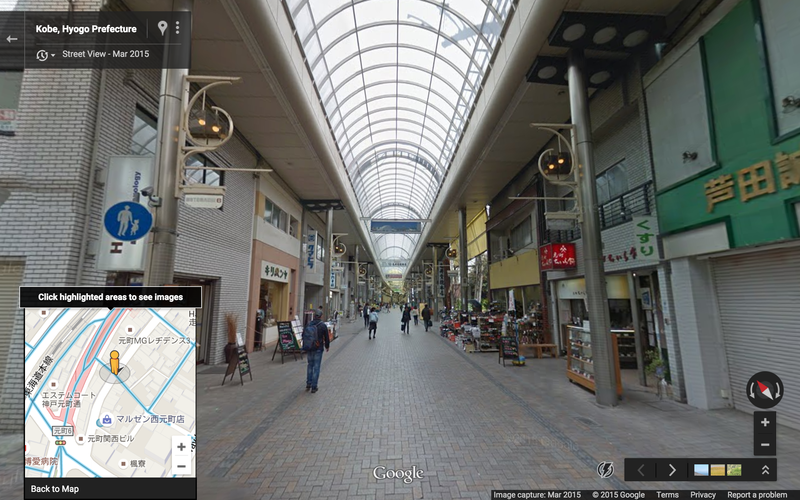 Google Maps indicates only a couple shops in the Motomachi, but in fact, the arcade is lined with hundreds of shops. Satellite view of the same area. Note the immensely wide zebra stripes and sidewalks. Much better than Paris. Note also the garden/plaza space on the roof of the Daimaru, and the red awnings along pedestrian street in Chinatown (南京町). Motomachidori 3-Chome (元町通３丁目). 100 ft scale. Short Block Index ~27 (visible here: 41 three-way and 27 four-way intersections). 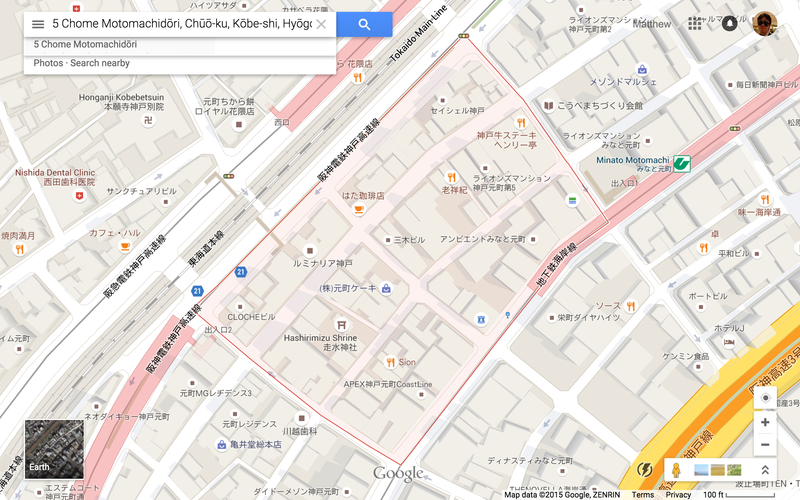 One hotel and seven konbini on this map: 2 Family Marts, 2 7-11s, 2 Lawson Stations, and 1 Daily Yamazaki. Satellite view of the same area. 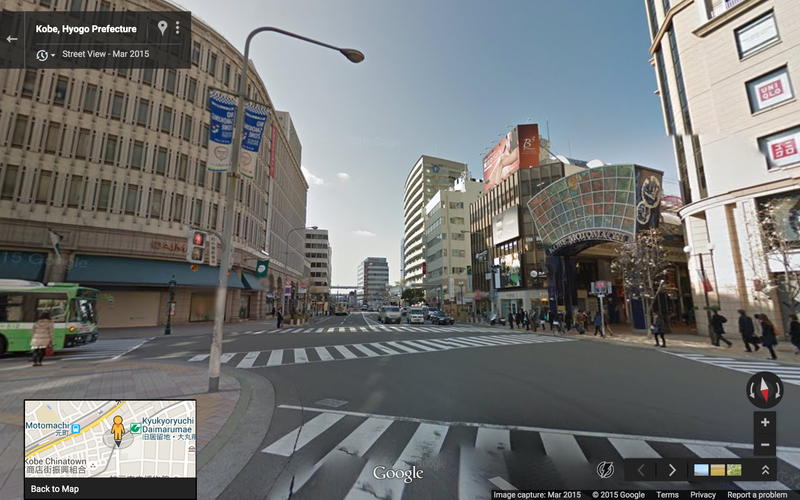 West end of 3-Chome. Looking West. Note that the glass roof is continuous over the whole width of the street. Looking east from the same point. The sign at the top tells you which way to go in case of a tsunami. Motomachidori 5-Chome (元町通５丁目). 100 ft scale. 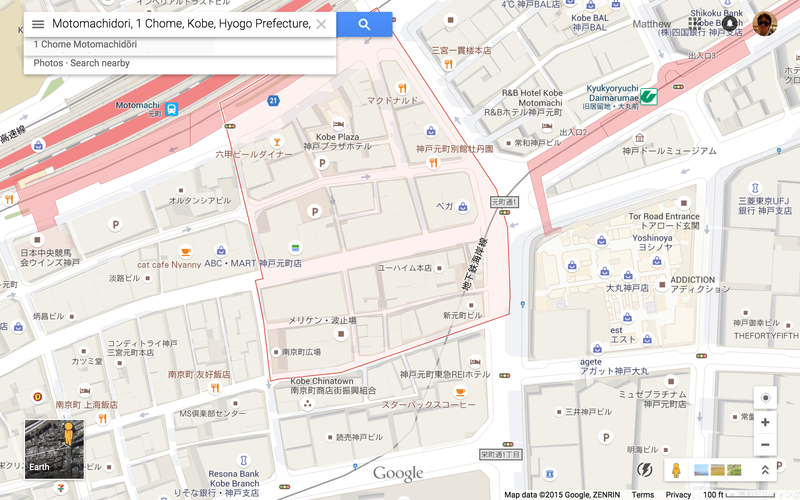 One hotel and two konbini on this map. 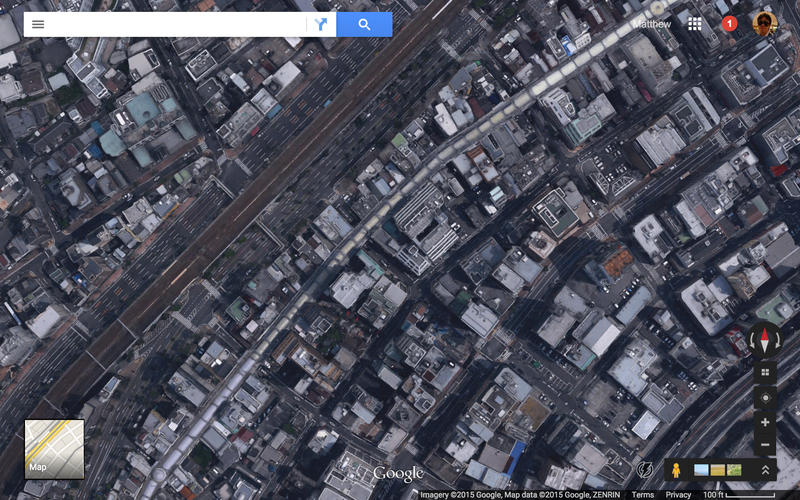 Note the extreme proximity of 3 train/subway stations (serving 3 different lines). Motomachidori 6-Chome (元町通６丁目). 100 ft scale. 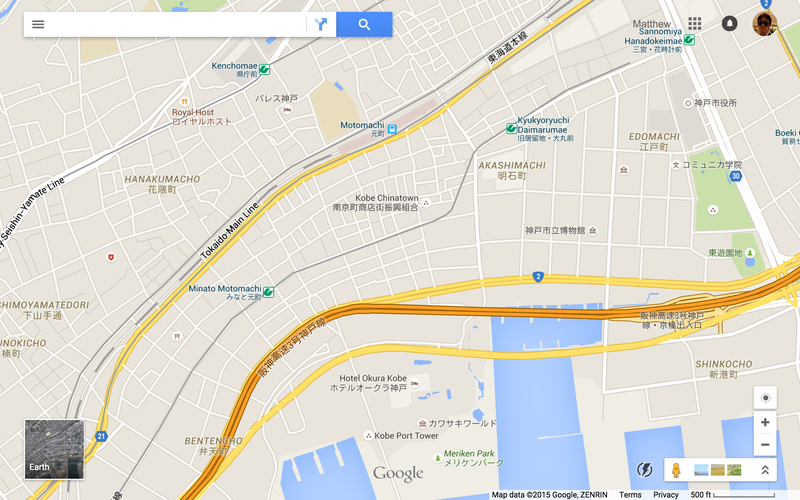 One konbini on this map. 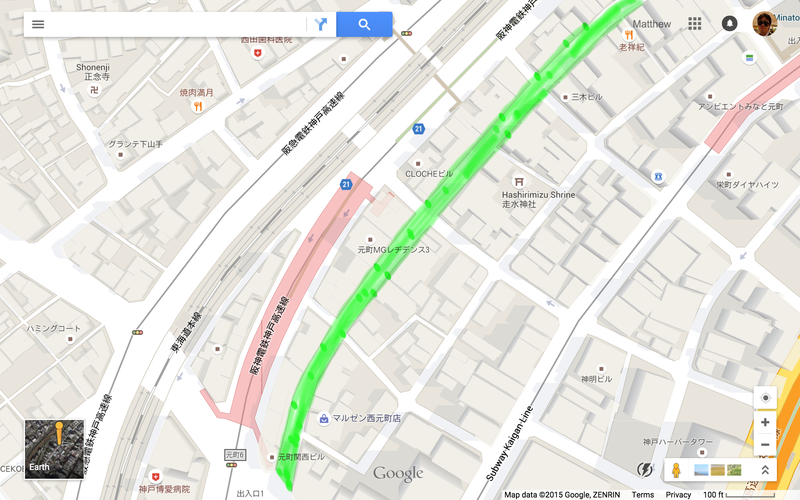 The Motomachi Shopping Arcade is highlighted in green. The west end entrance is located right next to a subway exit. Near the west end. Looking south. Looking east (technically north-east) from the same point. 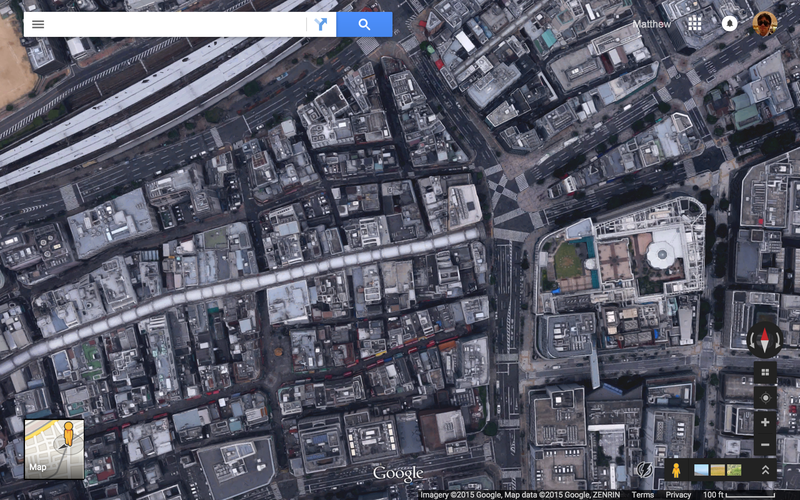 Compare the endless row of shops in the photo with the handful of shops shown on Google Maps. West end entrance. Motomachi 6-Chome. From here it is a 5 minute exposed walk (no tunnels or arcades) to the nearest entrance to Kobe Station (connected to the Harborland complex). 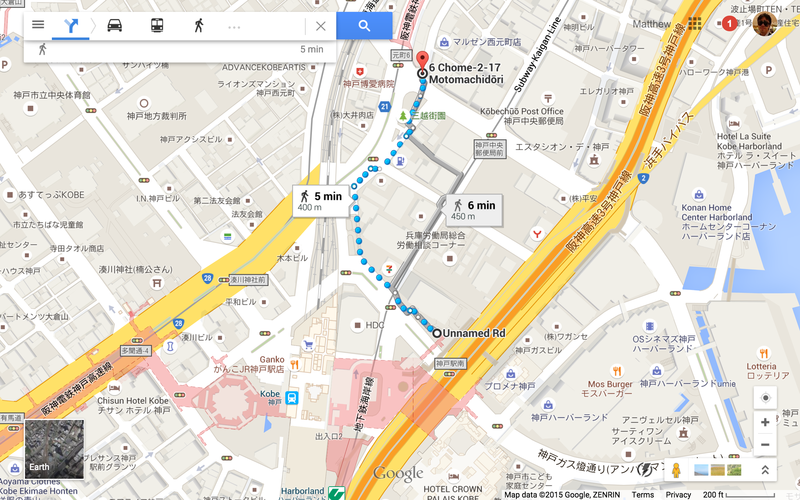 5 minute walk to Kobe Station. 200 ft scale.